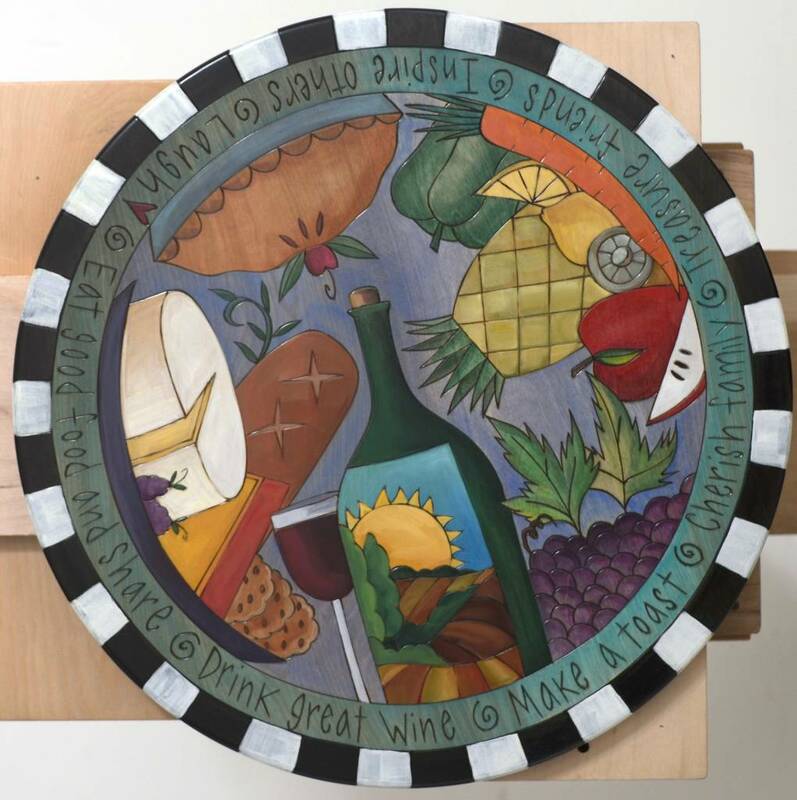 Eat Good Food & Share, a wood hand crafted 20" Lazy Susan by Sticks with distinctive hand etched designs & bold colors will brighten any room. When not in use there is a hole in the back to hang on the wall. 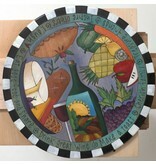 Popular wedding, engagement or anniversary gift. No two are alike as each made to order. Sticks is an Iowa company that employs over 60 talented designers & artists. Please allow 3-4 weeks for delivery. Always available as drop shipped from Iowa. Price includes free shipping. Made in the USA.